By Paul Regnart & Alex Fawcett (Sage One UK & Ireland Development Team). Over the last couple of months a number of people working at Sage (including us) have been volunteering in local schools to give children access to Code Clubs. 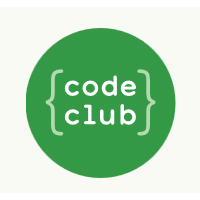 Code Club is a nationwide network of free volunteer-led after-school coding clubs for children aged 9-11. This provides the tools and resources to allow children to learn computer programming in a fun way and connect them with volunteers with the programming experience to guide them. Alex and I work in the Sage One Development Team and are running a Code Club at a primary school in Newcastle upon Tyne. We currently have twelve pupils and one teacher attending, all of whom are enjoying using their imagination and new found programming skills to create games and animations. Contacting the school and setting up the Code Club was very simple. Both schools and volunteers register at the Code Club website (www.codeclub.org.uk) to connect, and all of the materials are provided online. In our club we demonstrate the project at the start, and help the pupils as they work through the exercises. At the end of each session we do a quick re-cap of what we have learnt. Some of the children have even chosen to do Code Club projects in their free time, and all them seem to be really enjoying it. At the end of the class and after a long day we expected them to have their coats on and waiting to get out the door, but quite the opposite, they were all coding away making new animations after the class finished. If you want to try the fun exercises the kids will do, start with ‘Beginners Scratch’ at http://projects.codeclub.org.uk/en-GB/index.html which uses drag and drop to create animations and games. You can do the exercises all online at http://scratch.mit.edu/ and save your work if you register. If you’re a developer reading this I hope it inspires you to get involved! Sage staff are also offering their expertise as mentors and trainers as part of our sponsorship of Campus North, the 10,000 sq ft co-working and event space for start-ups in Newcastle and regional coordinator for Code Club North East.